Pet insurer Trupanion of Seattle, Wash., sponsored the contest and will provide cash awards to support the uncompensated care these hospitals provide pets. The first-place winner, Paws & Claws Animal Hospital of Plano, Texas, received $1,500, Gulf Breeze Animal Hospital in Gulf Breeze, Fla., won the $1,000 second prize, and DoveLewis Animal Hospital in Portland, Ore., will receive the $500 third prize. The Veterinary Practice News editorial team and several advisory board members judged the entries. 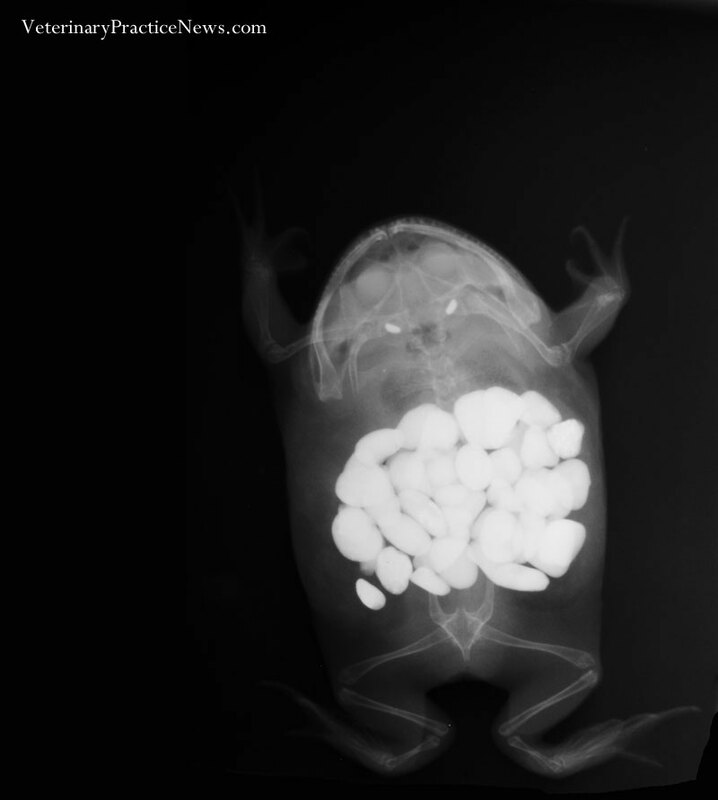 His owner noticed the exotic frog eating the rock substrate in his cage, and radiographs confirmed the owner’s observation. 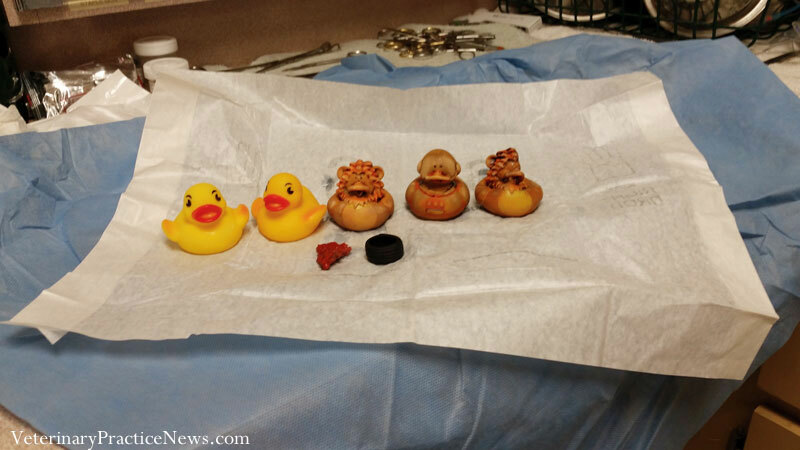 More than 30 small ornamental rocks were removed in surgery and the frog recovered without complications. The owner wisely decided to remove the remaining rocks from the frog’s habitat. 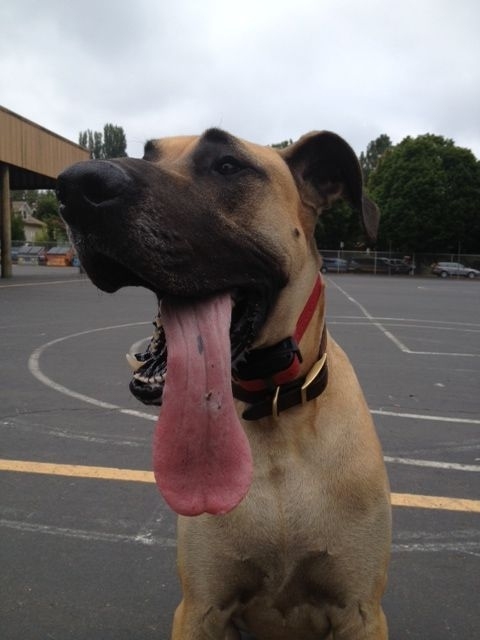 Marley’s owner presented him, saying that she thought he’d eaten a shish kabob skewer. She had prepared two skewers with meat and vegetables for the grill and left them on the kitchen counter for “just a moment.” When she returned, the kabobs and Marley were gone. 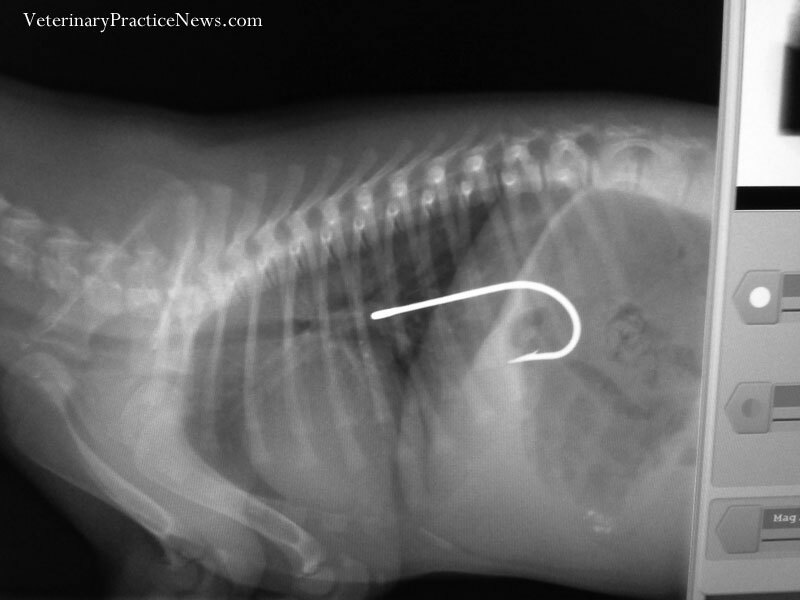 Not thinking it was possible that he’d swallowed the skewer, I decided to radiograph Marley to appease the owner. Well, there it was, within the stomach. 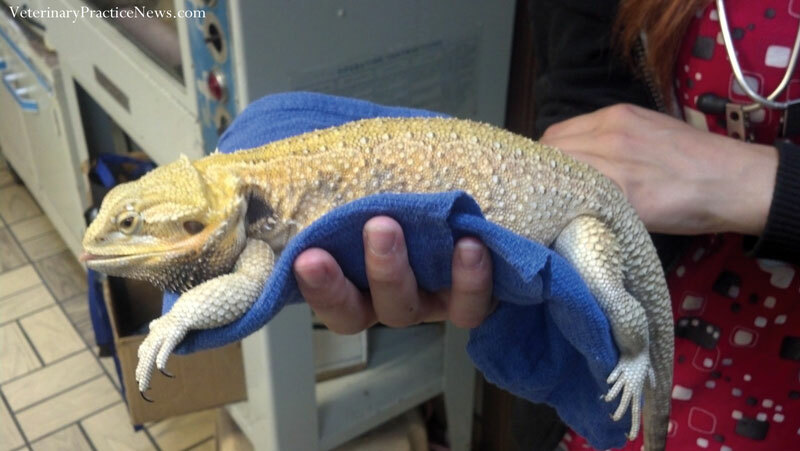 A woman brought a bearded dragon named Dragon into our clinic for acute anorexia. Her young granddaughter was distraught that their beloved lizard was turning its scaly nose up at food. 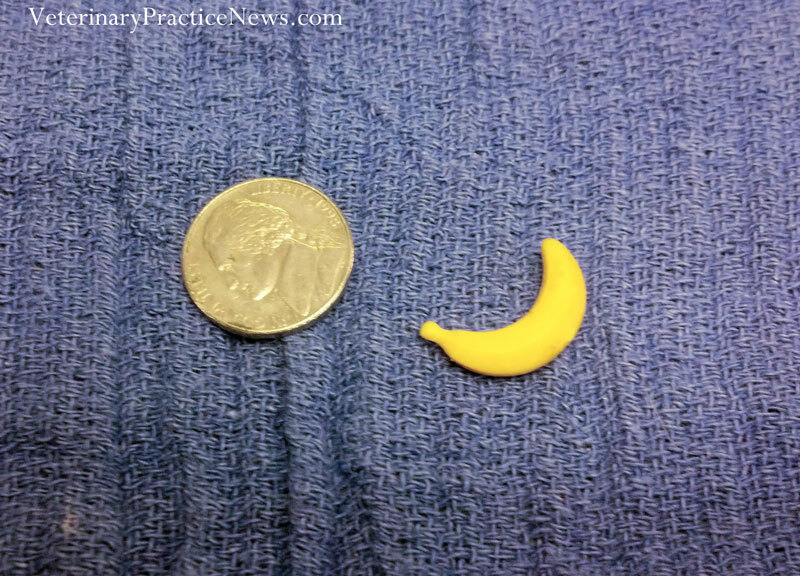 After a bit of persuading for an X-ray (“After all, it’s not a dog … but our granddaughter does love it so.”) an unusual opacity—remarkably shaped like a banana!—was observed in its digestive tract. Apparently, Dragon had been known to lounge in Barbie’s Dream House when being played with by the granddaughter. 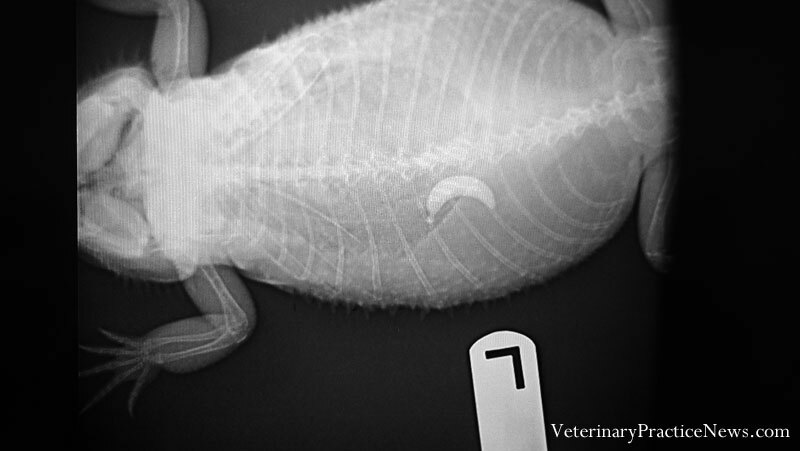 Dragon, a bearded dragon, came into the Gladstone Animal Clinic when he refused to eat. According to Andrew Rambo, DVM, upon seeing the banana, Dragon's owner exclaimed, "So that's where Barbie's banana went!" He gulped down a liver—hook, line and all. He presented to our clinic after hours. 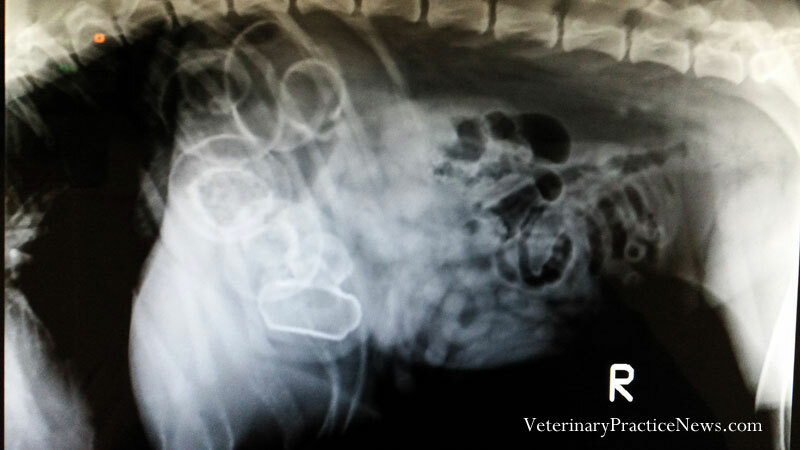 A 5-month-old male kitten presented for acute anorexia and repeated vomiting. 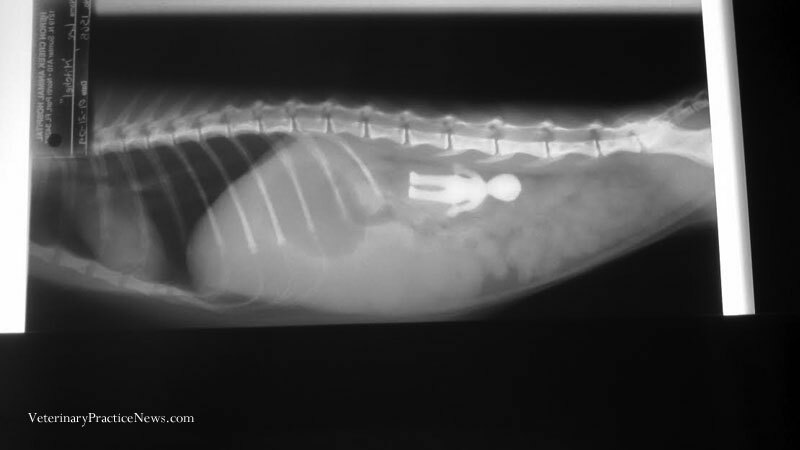 The owner recognized the toy alien figure on the X-ray. In surgery, it was found lodged in the proximal duodenum. Due to the “thumbs” of the toy, it could not be moved retrograde and the intestine had to be incised to facilitate removal. The cat recovered uneventfully and did well post-op. We surgically removed the flock along with a toy truck tire and a piece of another toy, and Woof did very well. 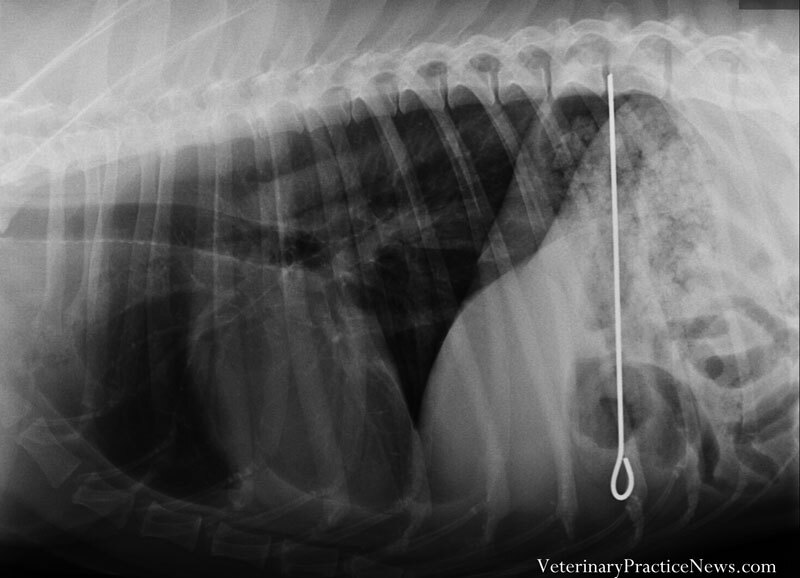 Surgical removal of nine sewing needles from all over the body required a ventral abdominal exploratory and a ventral sternotomy. Presumably he ate a package of needles and digested the paper, and the needles migrated through his body. The lameness was caused by the one that was poking into his brachial area. 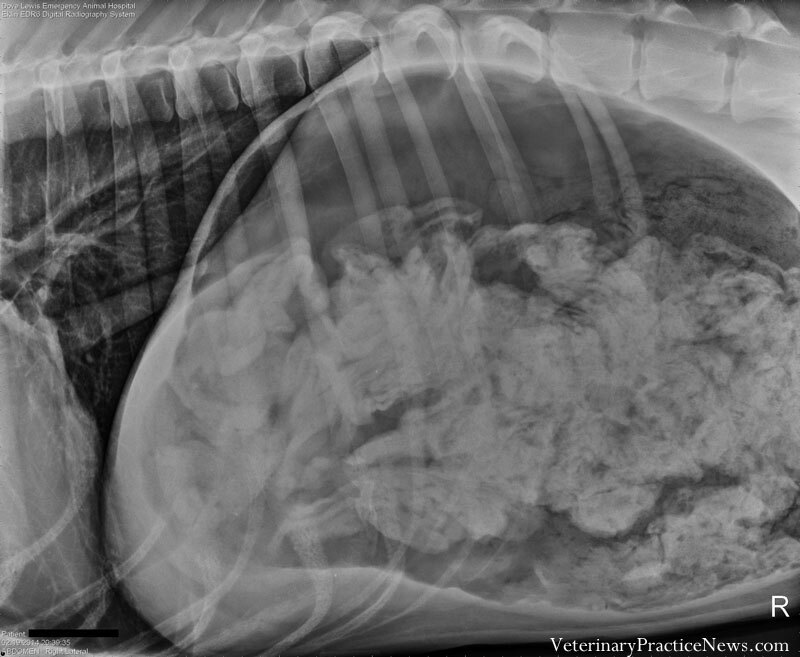 Two-year-old pug Stella presented for vomiting 40 times overnight. 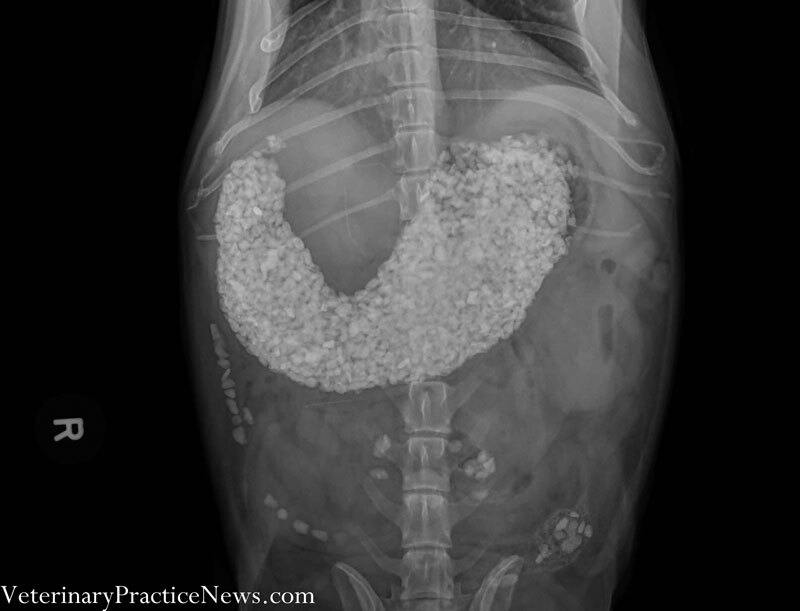 During an abdominal exploratory, one quarter and 104 pennies were removed from the stomach. D'Jango, the puppy who ate a hacky sack, wasn't feeling well when he was brought into the Akron Veterinary Referral and Emergency Center. Owner returned home to find D’Jango, a 15-week-old male intact golden retriever, playing with a Hacky Sack. Her son said another Hacky Sack was missing. Client elected for emesis. Apomorphine was administered conjunctively. After a second dose D’Jango vomited food and an intact Hacky Sack. We don’t know who was more embarrassed, the owner or the veterinarian, when she determined that Norris had eaten her bra. 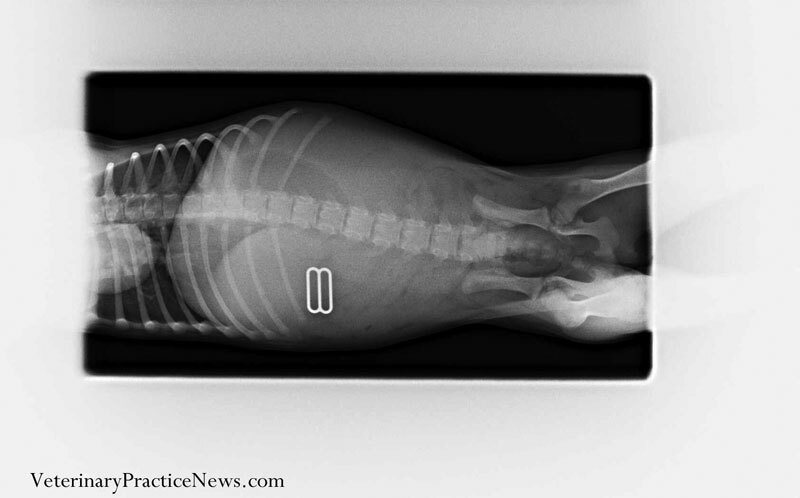 Veterinary Practice News editor Marilyn Iturri created the “They Ate WHAT? 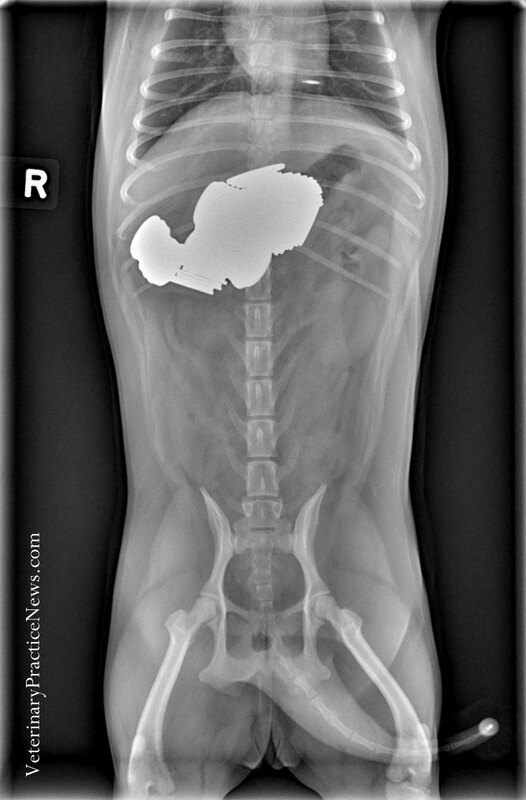 !” contest in 2006 to showcase the humorous situations veterinarians and pet owners can face as well as the clinical advances available through digital radiography. What stood out this year was what the animals had eaten and how much, according to Iturri. 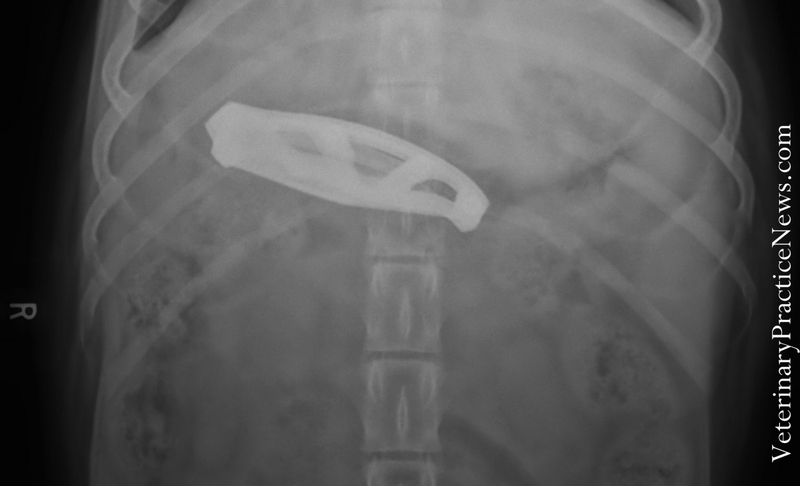 “One dog had swallowed five duckies and one of our top three winners ate 43.5 socks,” she said. 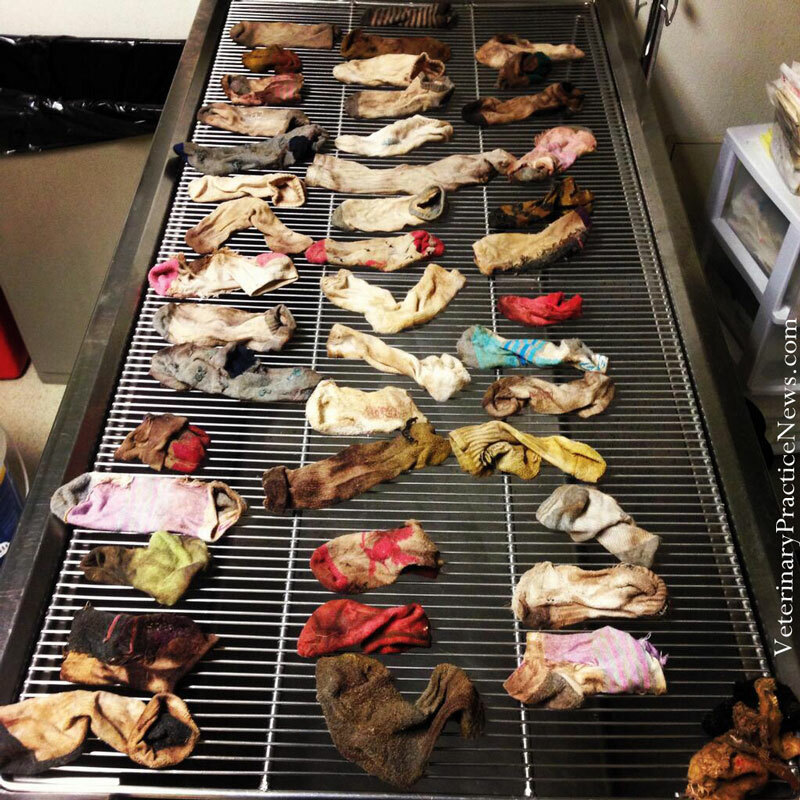 “That broke our socks-eaten record. 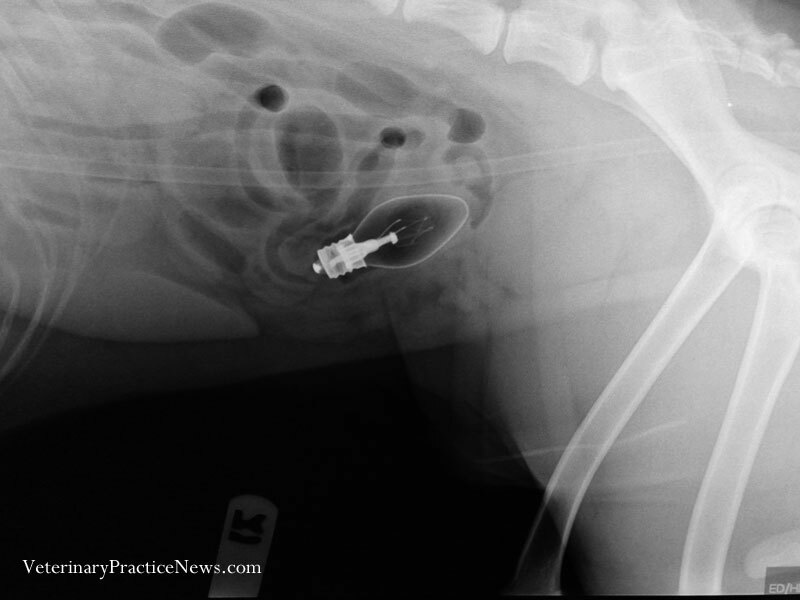 And a pug ate a package of sewing needles, which previously we saw only cats do. Despite the light-hearted nature of the contest, Iturri said, the message to pet owners is serious. Trupanion of Seattle sponsored this year’s contest. T.J. Houk, the pet insurer’s director of business intelligence, says its data suggest that as a foreign object passes through the animal’s body, costs to treat it increase – with more pain for the pet and possibly a worse outcome. Houk said the average cost of a claim for an object caught in the esophagus is about $800, which increases to a little more than $1,000 when the object moves into the stomach and to more than $1,700 when it reaches the intestines. 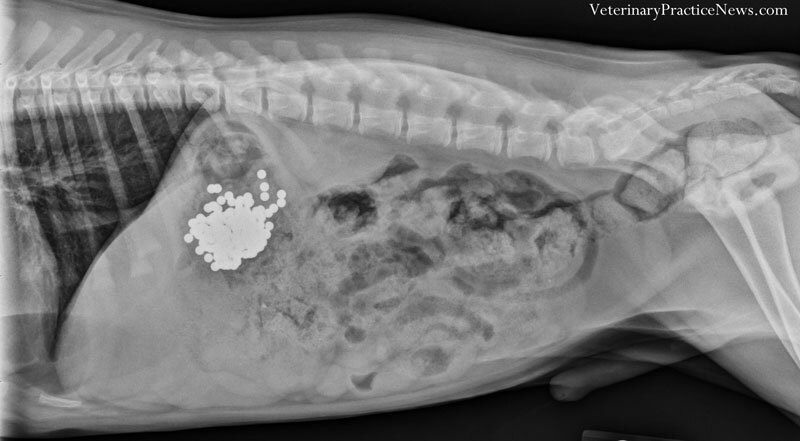 If it remains untreated, Houk said, the intestine can rupture and pets can get septic abdomen and peritonitis, which can cost $5,000 or more. While the contest is over, Iturri said the call for new X-rays begins April 2015. 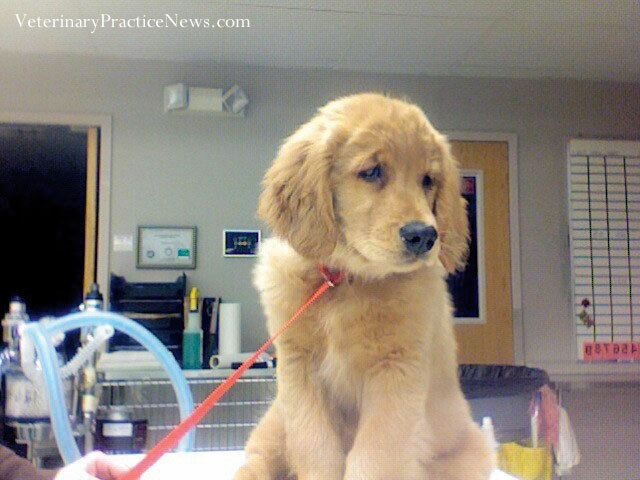 The contest will be announced both on VeterinaryPracticeNew.com and the Veterinary Practice News magazine.